Here is some of the customer feedback we have received from our customers. “Don’t want this to sound boring but please note the whole experience has been excellent. The quality and look is perfect many thanks for a wonderful service”. 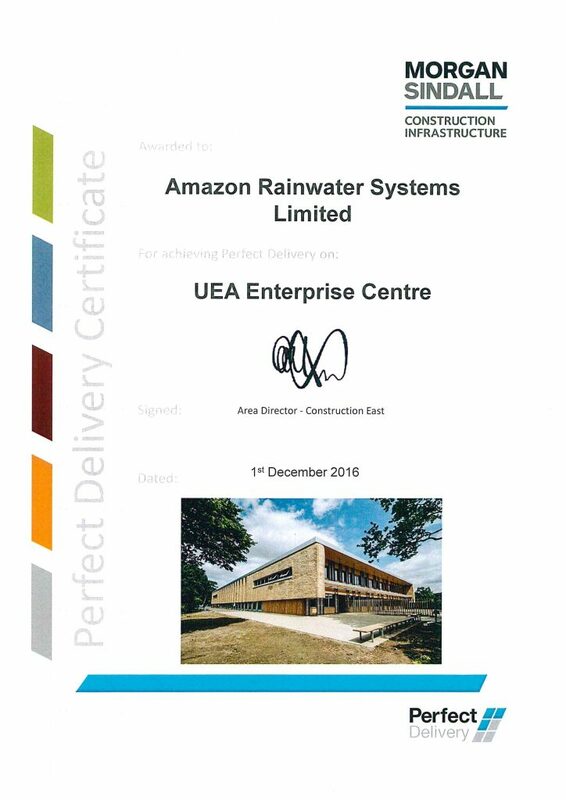 We have received a Perfect Delivery Certificate from Morgan Sindall in relation to the UEA Enterprise Centre Project.